Aston Martin and Triton Submarines have teamed to build probably the world's most stylish and luxurious way to dive beneath the waves. Called Project Neptune, this two-passenger mini submarine looks like something designed and developed by Q Branch for James Bond. Though to be fair, the evildoers at Spectre might also appreciate a submersible that works a little Aston flair into its design. First announced last September, the Project Neptune submarine has now been revealed in its final production format. Looking equal parts speedboat and lunar rover, the design is dominated by a clear bubble pressure hull that permits an expansive view of the watery world around you. There is seating for three, with room for a pilot and two passengers. The pilot seat is in the middle, positioned slightly behind the two front passenger seats. Capable of diving to depths of 500 meters, the submarine has a top speed of 5 knots — or not quite 6 miles per hour, for all you non-nautical types. While that's not exactly DB11 territory, Florida-based Triton says the the Project Neptune sub has roughly four times the acceleration of the company's flagship model, the 3300/3 submersible. Triton builds a wide range of subs, ranging from pure utilitarian models that can dive to the deepest depths of the ocean floor, to posh creations that cater to super-wealthy clientele with a spirit of adventure. It goes without saying which customer base Project Neptune is meant to entice. If there is any doubt, simply peek inside. Forget any images you might have had of vinyl seats and a maze of pipes and knobs peppering the cabin. The seats are leather-trimmed with Aston Martin logos on the backrests, while the rest of the interior is finished in lightweight carbon fiber. "The interior is quintessentially Aston Martin," says John Ramsay, chief technical officer at Triton Submarines. "The prototypes look incredible, being simultaneously functional and beautiful." Because you don't want to have the exact same mini-sub as your neighbors — perish the thought — there will be three Designer Specifications available. These have been created by the British automaker's own design team, while further customization can be handled by Aston's bespoke service, fittingly called Q by Aston Martin. With the least expensive Aston Martin costing about $150,000, how much will it take to pair your 2019 Vantage with your own Aston mini-sub? 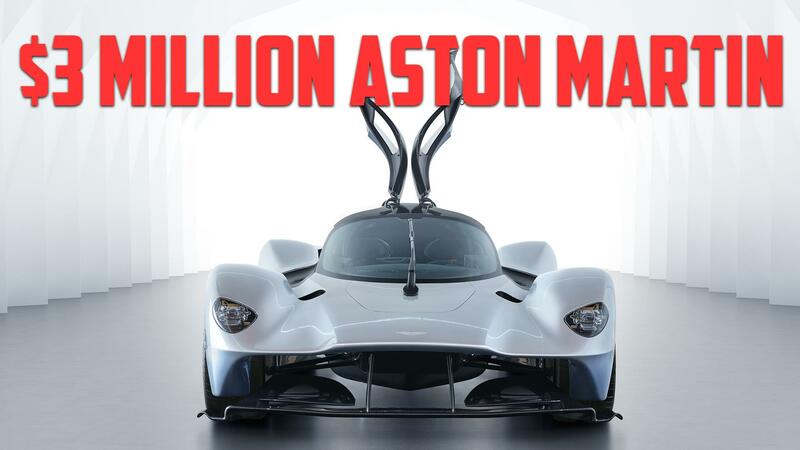 Well, you'd better budget for something more along the lines of the company's Valkyrie hyper-car, which costs just north of $3 million. Triton submarines aren't cheap, so don't expect a bargain on one sporting the Aston Martin logo. If you want to see the Project Neptune for yourself, book some first-class accommodations for the next flight to Barcelona, Spain, where the posh sub will be on display during this week's LYBRA Superyacht Show. You might also get a glimpse of Aston's other water-bound creation, the stunning 37-foot AM37 speedboat.